The British countryside was in glorious form this weekend, with the English county of West Sussex bathed in golden sunshine. I was visiting one of my three sisters, who has left behind the cosmopolitan city of Brighton, and moved her family to a more rural setting. The new house has some land, and one morning before everyone else was awake, my husband and I took my sister's two energetic dogs for a walk in the pretty woodland. The visit seemed the perfect opportunity to embrace traditional country attire, and wear my new tweed jacket for the first time. 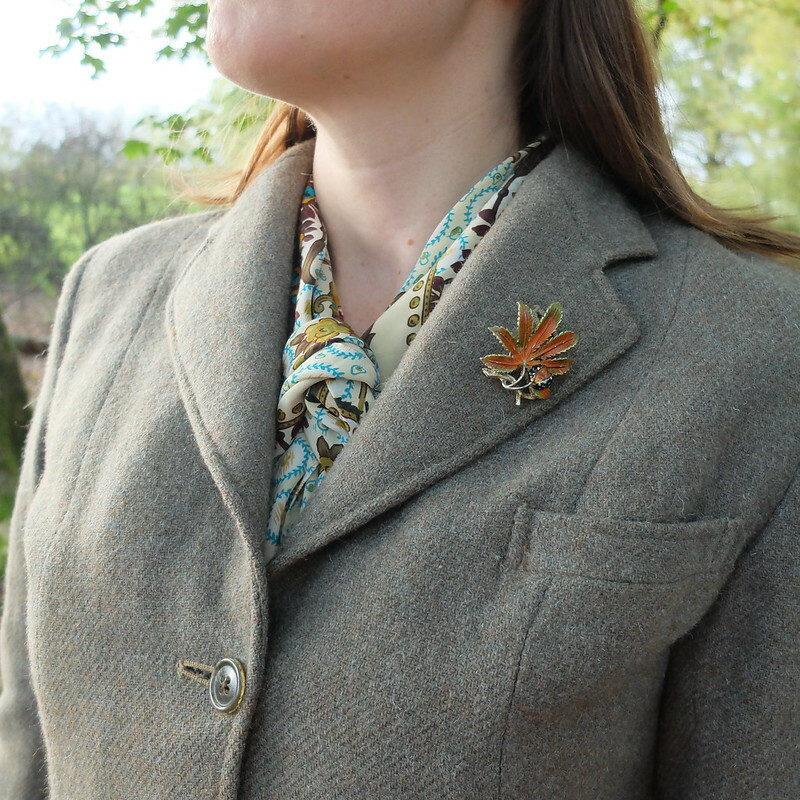 The jacket is a traditional hacking jacket from the 1940s, bought from an antiques shop in West Wales. My husband actually persuaded me to buy it, and I have to admit that he was right. It's one of those items that looks average on a hanger, but when he insisted that I try it on, the cut and shaping became apparent - it fits me perfectly. 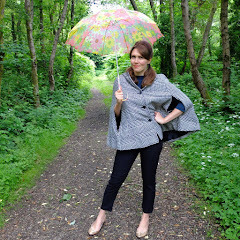 The tweed is heavyweight, so it's a very warm jacket too. It has quickly become my new favourite. 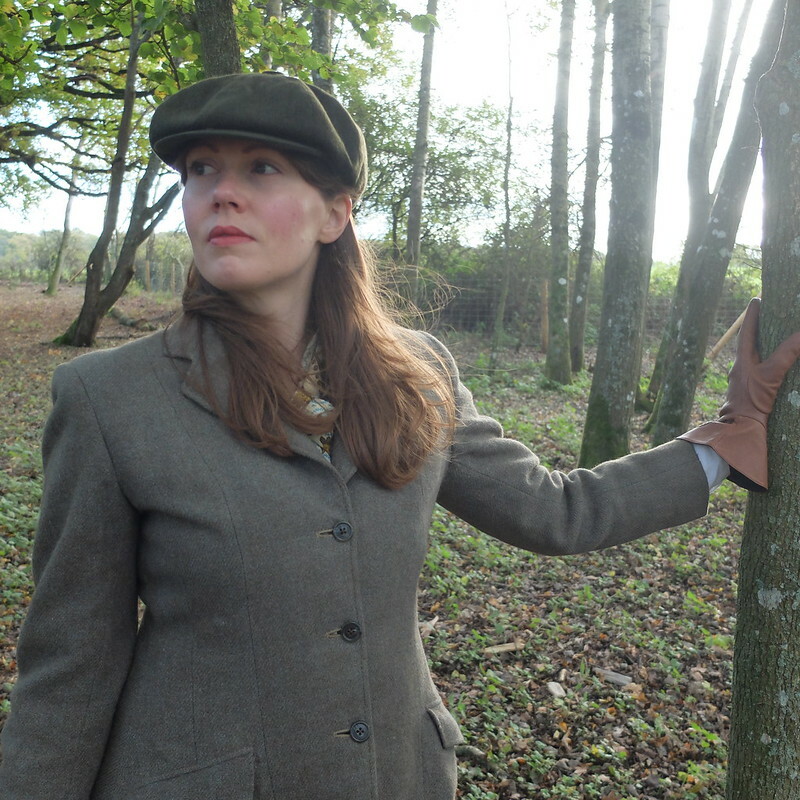 Vintage 'Harkaway' 1940s hacking jacket from an antiques centre, Next boots via charity shop, Jaeger leggings, Elle silk scarf from car boot sale, Christy's flat cap borrowed from husband, Exquisite vintage brooch from car boot sale, Alannah Hill gauntlet gloves. I thought you'd like the dogs! You should honestly check out their Instagram, they're adorable!! 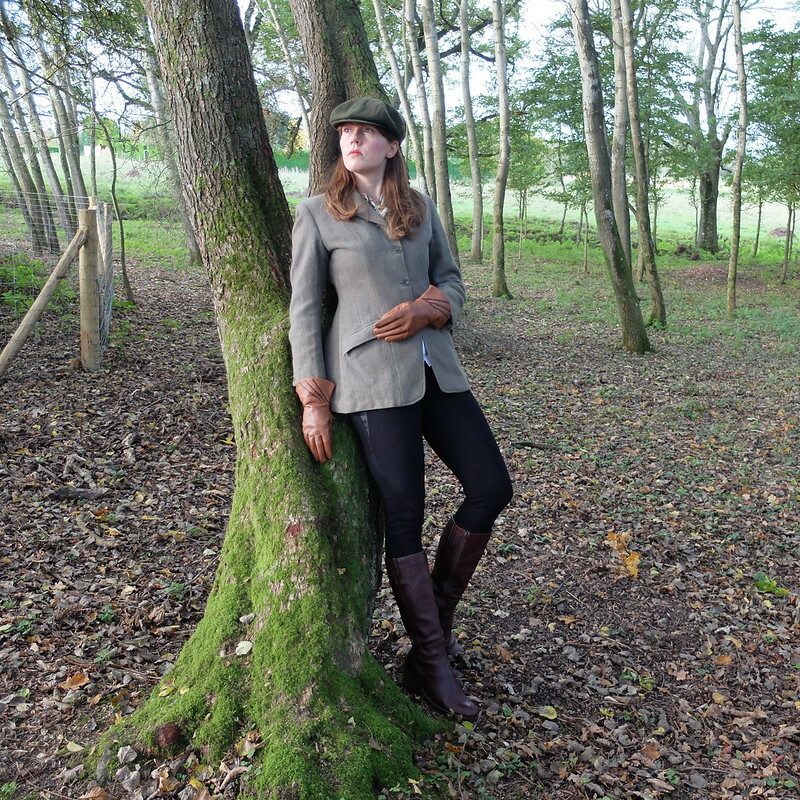 Every inch the country lady! 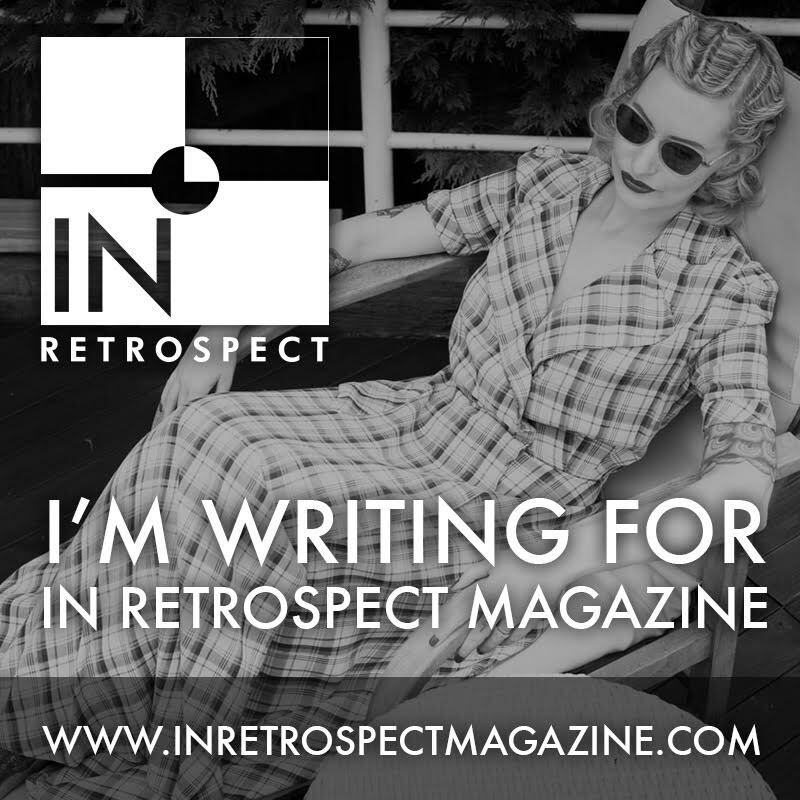 I'm glad you were persuaded to buy that jacket, it's a wonderful fit and sure beats a fleece for outdoor wear. Loving the cap and the boots, too. Ha, yes celebrity dogs indeed!! They love the attention too, shameless! 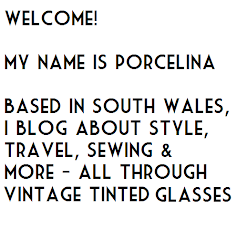 Very sharp Porcelina, glad you picked up that jacket it does fit fabulously well. Your husband is a good man for convincing you to get that jacket, to walk away from it would have been a great shame because it appears to be a perfect fit! 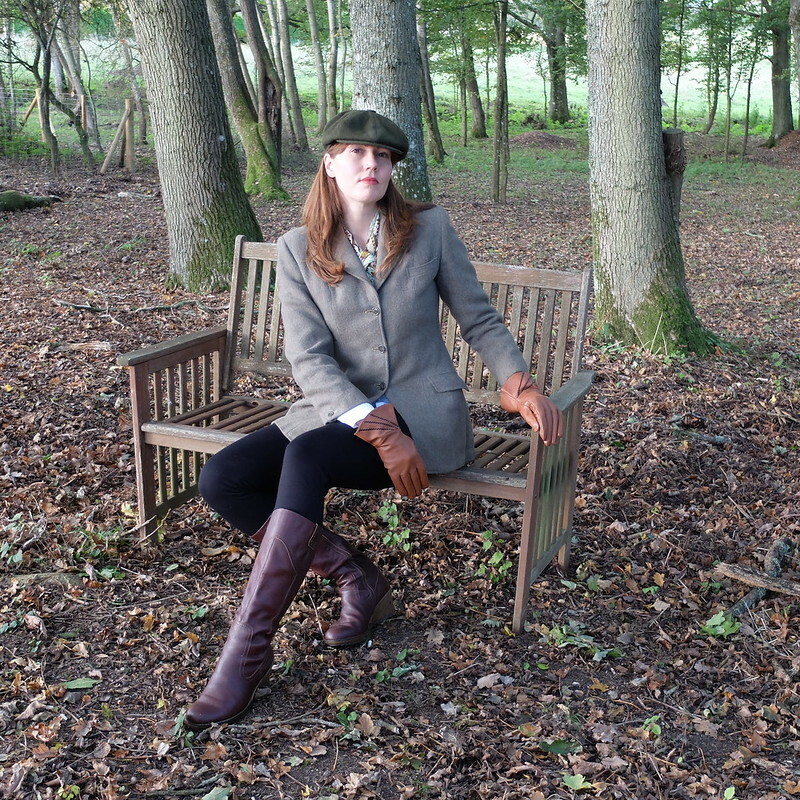 You look like a country aristocrat in these photos! I'm surprised to see a well known Aussie brand pop up in these photos, I had no idea Alannah Hill did gloves like this. 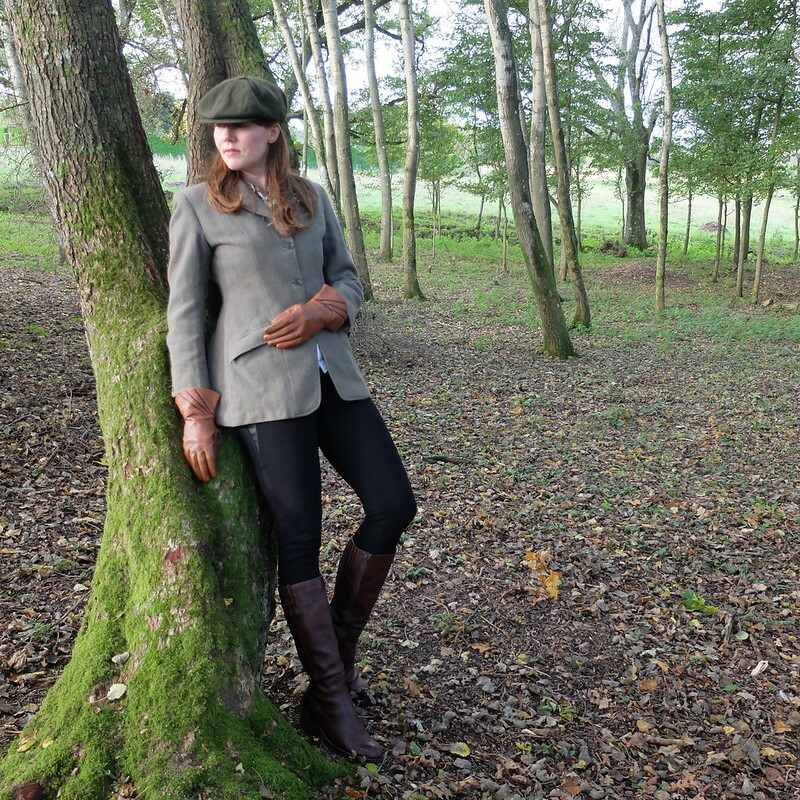 The perfect country lady outfit! 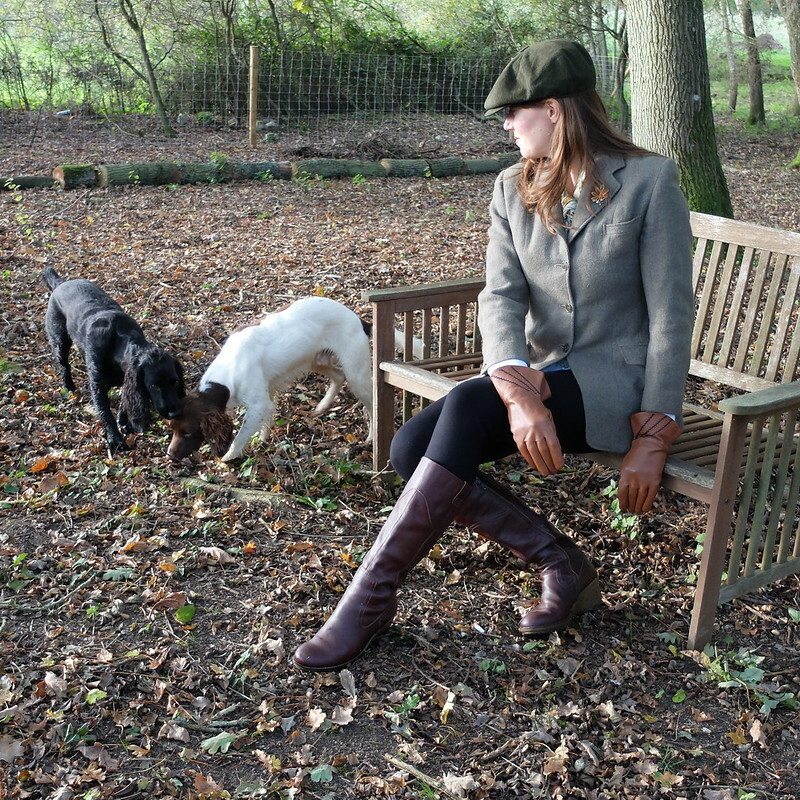 I love the tweed jacket, and the boots are the perfect choice to add a bit of a rural feel. 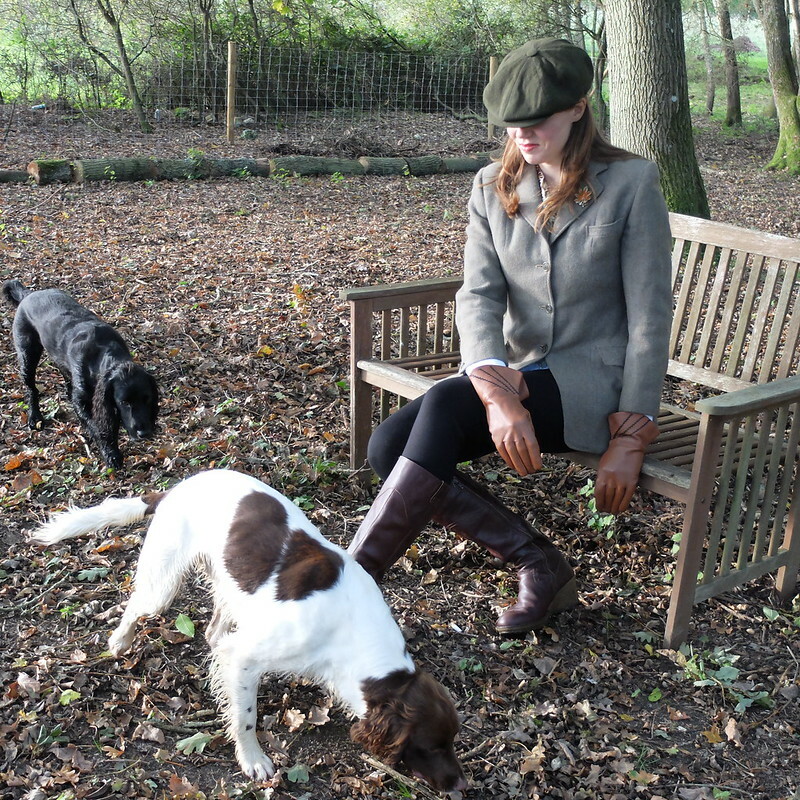 Aaah, you can't beat a good tweed jacket - and you look positively aristocratic in these shots, like someone from a 30s novel coming in after riding, to dress for dinner.